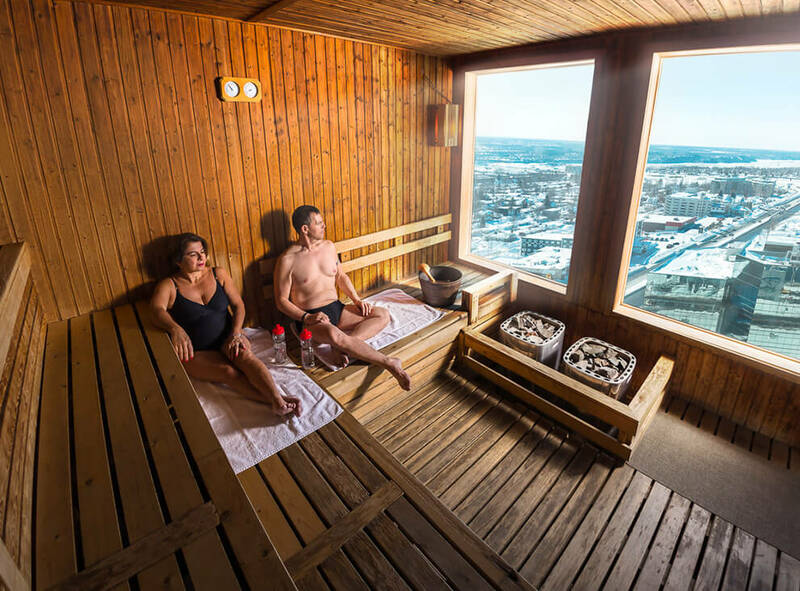 Enjoy the benefits of Scandinavian know-how on your body and mind through the thermal experience: an alternation between hot and cold that will leave you feeling energized. Escape from the busy world and enter the warmth of our Nordic spa. Discover the benefits of thermotherapy in the middle of a bustling city. Whether you’re looking for relaxation or fun, the experience will carry you away. Settle into the heat of the sauna, dare to dive into the ice-cold waterfall, and savour a moment of deep release. 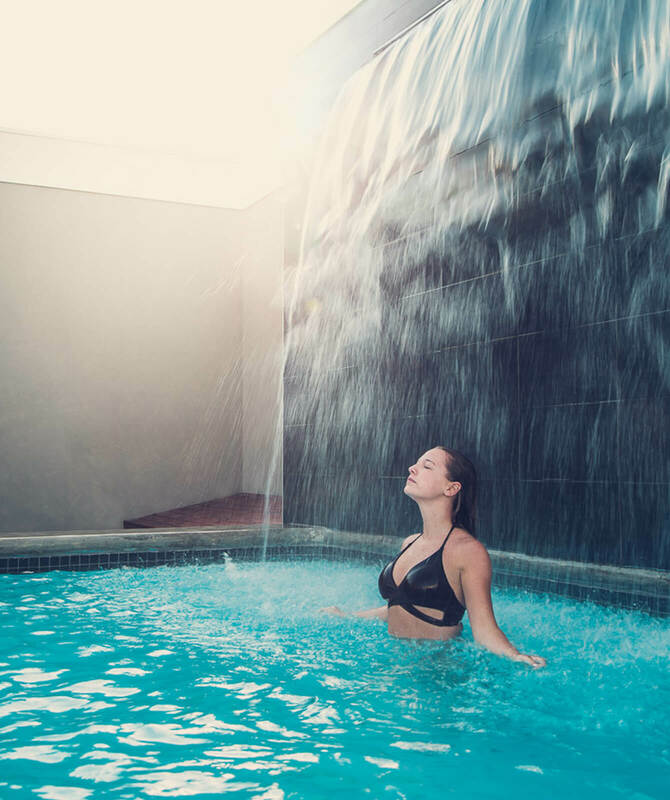 Our facilities offer a selection of Finnish saunas, steam rooms, whirlpools, a plunge pool, and indoor and outdoor relaxation areas. You can also enjoy a healthy meal with friends, a loved one, or by yourself in our bistro or on our patio.